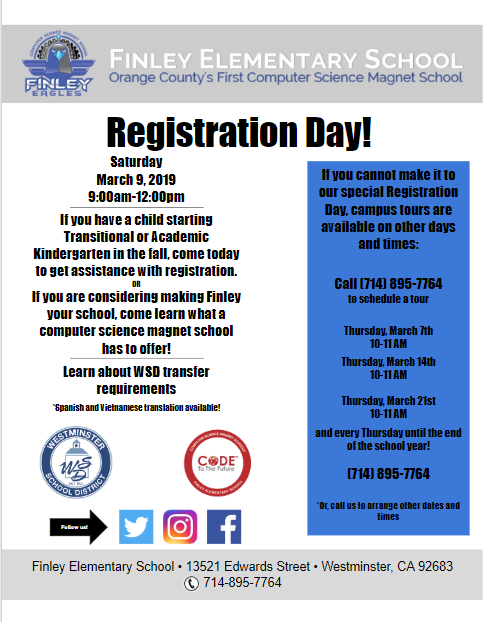 If you have a child starting Transitional or Academic Kindergarten in the fall, come today to get assistance with registration. 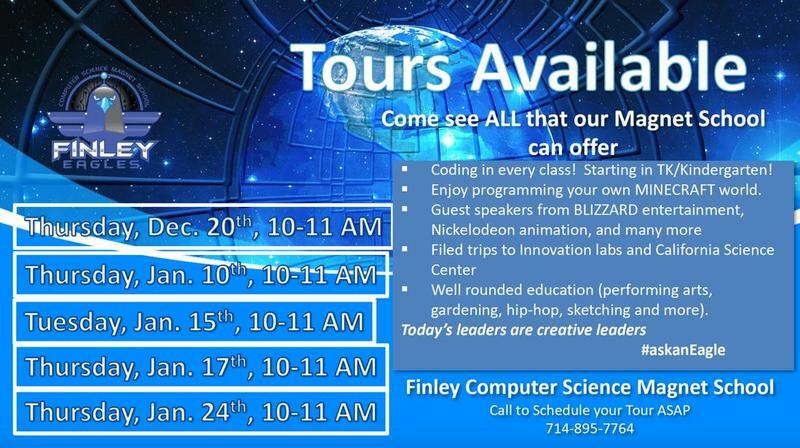 OR If you are considering making Finley your school, come learn what a computer science magnet school has to offer! Learn about WSD transfer requirements *Spanish and Vietnamese translation available!